Top model Olga Sherer takes the beauty pages of our D’SCENE Magazine‘s Defiant! edition with Close Knit story captured by fashion photographer Filippo Del Vita. In charge of styling was Elena Moussa, who for the session selected looks from Donna Karan, Dries Van Noten, MM6 Maison Margiela, Acne Studios, Marc Jacobs, and Jil Sander. Beauty is work of hair stylist Eloise Cheung at Kate Ryan Inc. using Phyto Paris products, makeup artist Chichi Saito at Art Department using products from top brands such as Chanel, Charlotte Tilbury, Anastasia Beverly Hills, MAC, Dior, Nars, and Laura Mercier, and manicure by Jini Lim using Priti NYC. Prop styling is courtesy of Laura Garcia Serventi. Retouching by Nikolina Dobric, photo assistance by Felipe Esteban Luque. 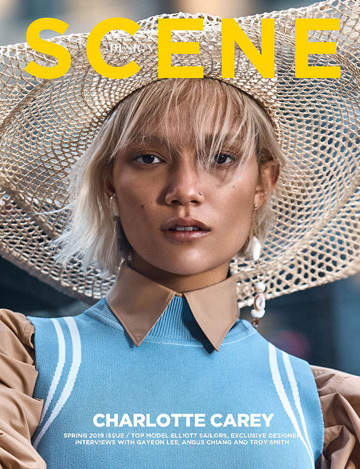 D’SCENE Magazine’s Defiant issue is available now in print & digital.